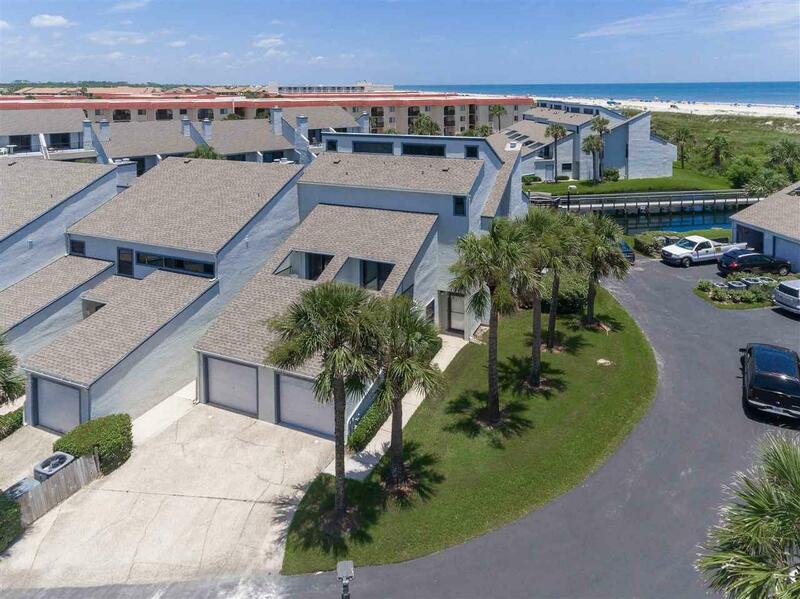 Spectacular Ocean View condo in the heart of St. Augustine Beach! 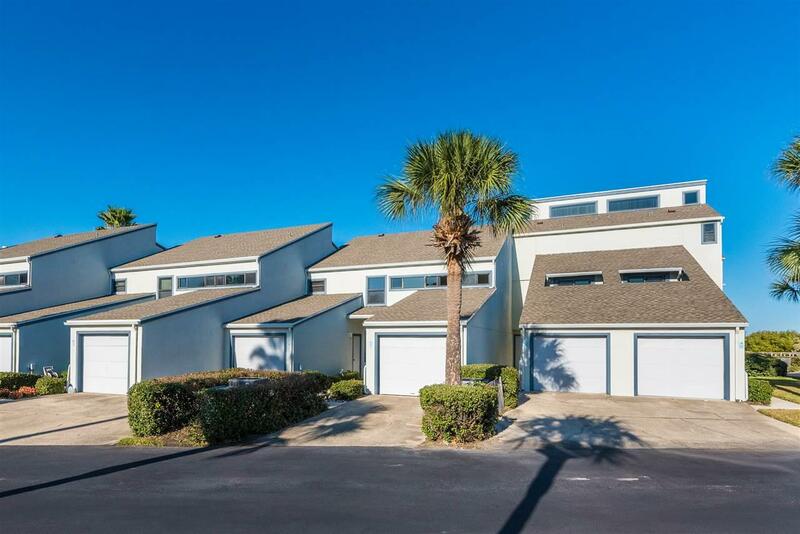 Exceptional unit backing to a tropical lagoon offering 1,600sf, 3BR/3.5BA with an attached 1 Car Garage! 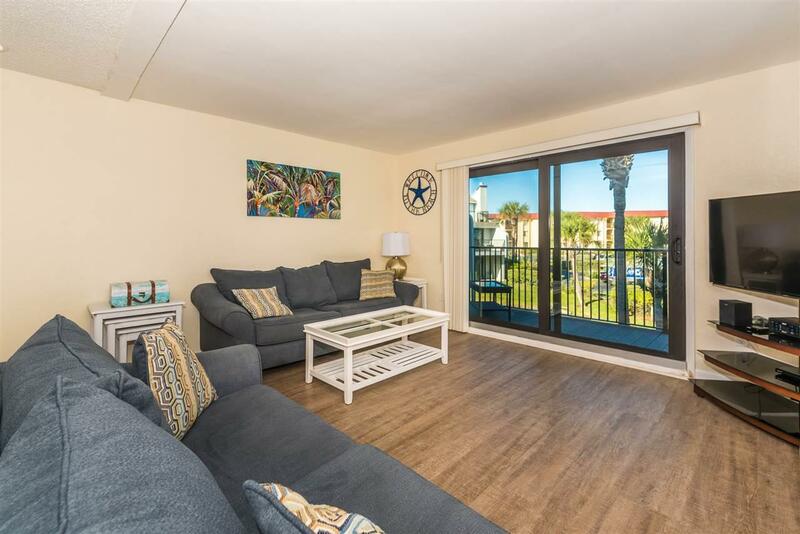 This spacious floor plan provides privacy for guests or family, decks and porches on both sides of the unit allow for amazing views & lovely tropical breezes. Offered fully furnished with potential for a lucrative short term vacation rental. Recently updated with paint, flooring, plumbing and completely remodeled kitchen! The updated gourmet kitchen will surely impress with wood cabinets, granite counters, breakfast nook, all appliances, built-in eating area wood laminate floors and opens to main living room! Guest rooms on the first floor while the master retreat takes the 3rd floor offering high vaulted ceilings, walk in closet, dual vanities and the best private deck for morning sunrises! There are 4 separate outdoor living areas providing a variety of east/west exposure, ocean, dune, and lagoon views. Popular oceanfront complex with pool, lagoons, tennis court, clubhouse, beach walkover, gate. HOA includes water, cable, pest, landscaping, trash collection, and maintenance/insurance. Owner Pet-Friendly! 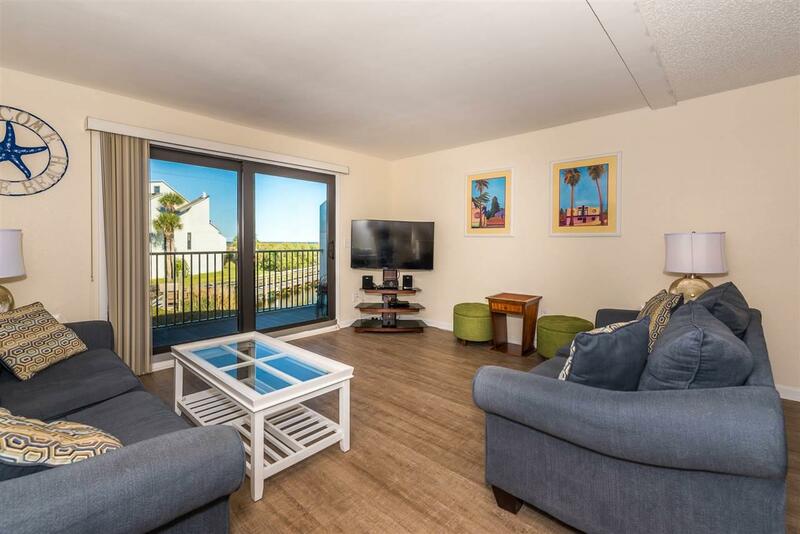 Walk and bike to restaurants, shopping and only a few steps to the sand!